The Youth I.D.E.A.S. 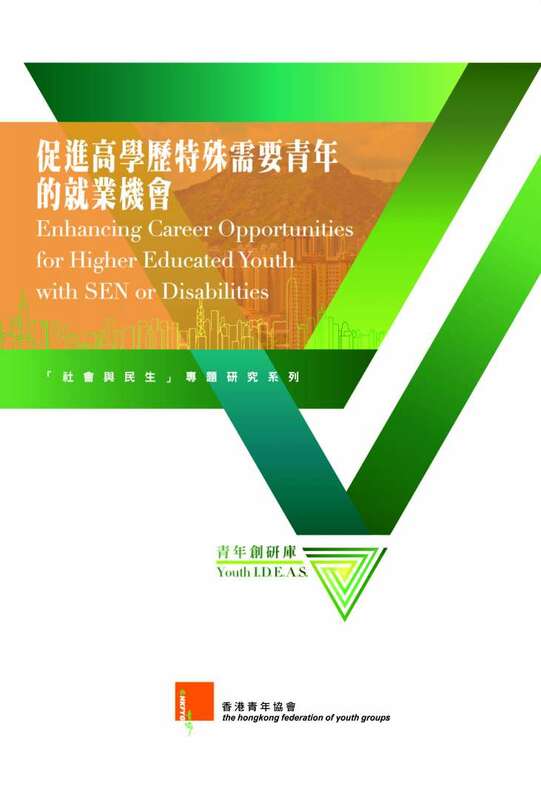 (established by HKFYG Youth Research Centre) has released its study on “Enhancing Career Opportunities for Higher Educated Youth with SEN or Disabilities”. Data gathered from 520 Hong Kong residents aged 18 or above showed that 26.0% of them are not willing to work a youth with SEN. The reasons were “it would increase my workload” (60.7%), “I didn’t know how to work with them” (43.7%) and “they could be dangerous or harmful” (27.4%). Lack of employment supports, employers’ attitudes, and the public misunderstanding were the three main barriers to employment for the higher educated youth with SEN or Disabilities. Amongst recommendations were providing diversified internship opportunities, improvement of existing employment services, providing continues education subsidies, and the government taking the lead in employing higher educated youth with SEN and disabilities.